This is a new toy. 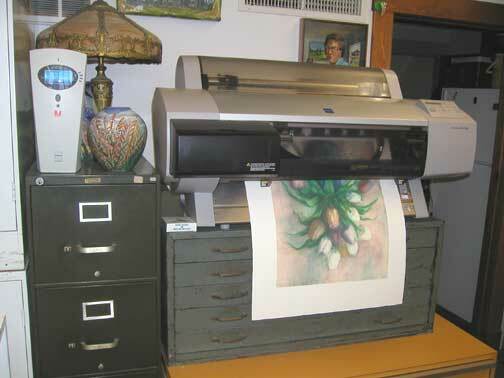 A 24" printer that shoots pigments instead of dyes. It's a fine art machine. Gonna do some printing. You are going to see some neat posters up in Zanesville next year! 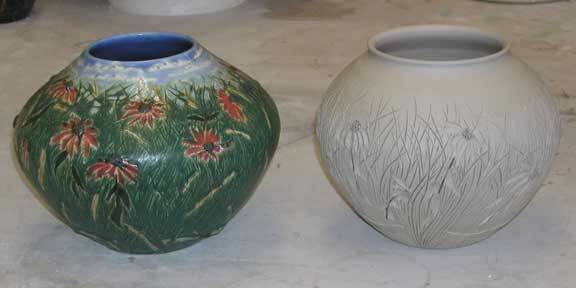 And I am going to be printing some images that will be variations of the way my pots are decorated. I got involved in two web projects that go on and on and on... 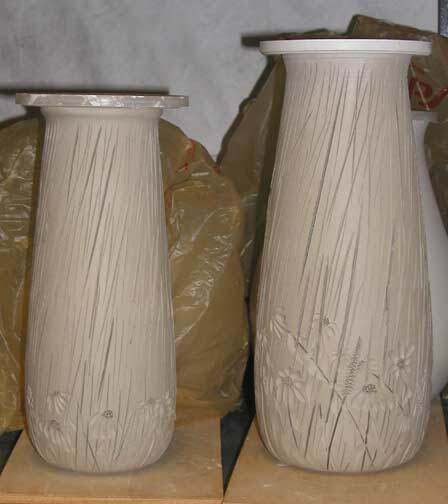 But I have been making pots. 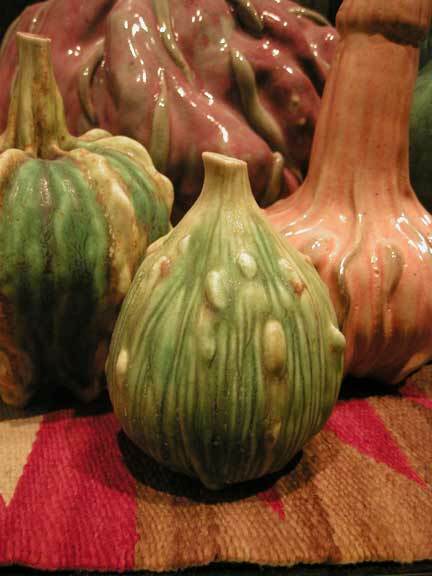 Here is little gourd everyone seems to love. 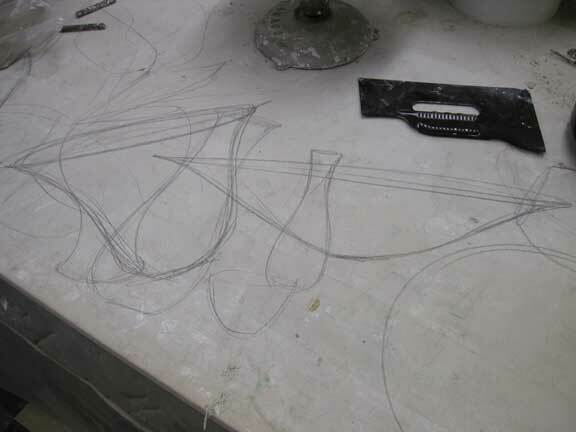 I usually draw designs out on my work table. 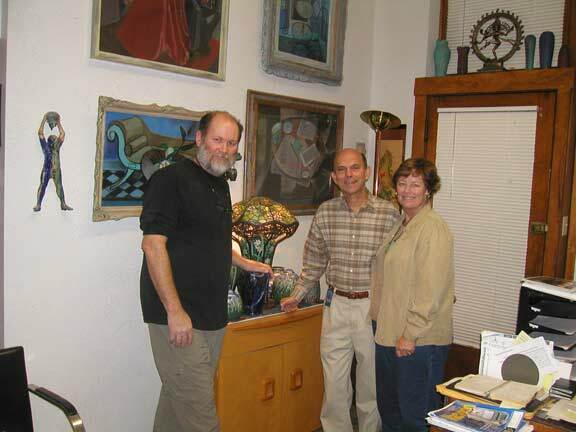 That big wide bowl might just turn into a big wisteria bowl with all the glaze running down to the center of the bowl and vines around the rim. I said maybe, Don. 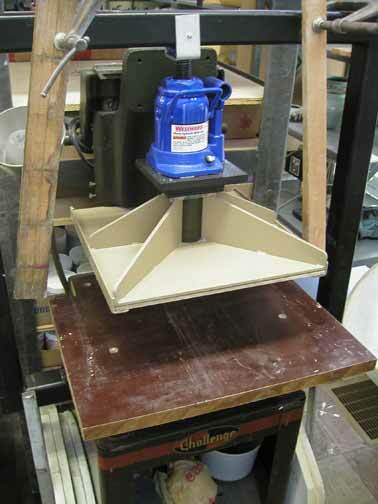 I had to up the tonnage on my tile press from 4 tons to 12 tons. This is just one of a couple of studio improvements. I had a few visitors stop by while in town. Richard and Molly from Nashville stopped by. It was a treat to meet them. 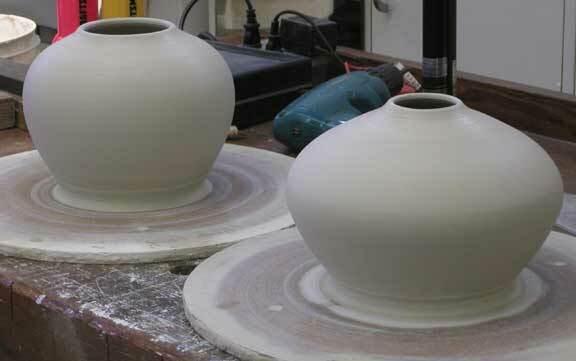 I am making a couple of pots like the one on the left. This is a snake in the field of flowers- the snake is around the bottom and you can't see it- pot that I made last year. It was the only one and it is a wonderful piece. One of the best I made last year. So I am making some for YOU this year. The pot on the left has a killer shape.